"We have a very exciting vision for what we can become as a media company," said Pete Cashmore, who founded Mashable to cover technology news in 2005. At the time, he was a 19-year-old living in Aberdeen, Scotland. 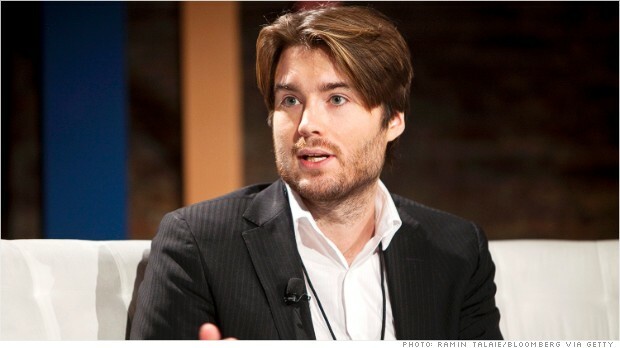 He remains Mashable's chief executive. "We absolutely believe that taking funding is the right way and the most effective way to achieve that vision," he said in a telephone interview. There were other suitors at the time, but CNN was "definitely the most serious," one of the people said. By early 2013, Cashmore and his colleagues decided they didn't want to sell. Instead, they began a strategic plan to build the company. In June, Mashable hired Seth Rogin, a vice president of advertising at The Times, to be its chief revenue officer; in October the company hired Jim Roberts, a former assistant managing editor at The Times and executive at Reuters, to be its chief content officer. "Last year was really about setting the groundwork," Cashmore said. "This year is about really ramping up aggressively and executing on the plan we drew up last year." The investment round will help the site add writers, editors and advertising salespeople ("this means we'll be increasing headcount by as much 50%," Mashable's chief operating officer Mike Kriak said in a statement). The goal is producing more content and, at least in theory, attracting more clicks. Mashable makes most of its money from advertising, which is increasingly challenging for many publishers, but it has an advantage in the fast-growing area of "branded content." Also known as native advertising, these ads are tailored to look more like news than a traditional banner or commercial. In some cases, the companies write articles themselves and pay Mashable to publish them; one example on Mashable's home page on Monday came from Quaker Oats and was said to be "presented by Quaker." In other cases, companies pay Mashable to write about particular themes (though not about their specific products or services) and then put their own ads alongside the articles. Cashmore said that Mashable had been publishing these kinds of ads for about five years. "That's really an evolving sector now and a huge area of growth," he said. Mashable operates what it calls a BrandLab to help advertisers make their own content. The $13.3 million round of funding will also help expand that operation, Cashmore said. In another sign of expansion, Mashable will move to a larger office in New York City later this year and will open new offices in Los Angeles and London. Along with Updata Partners, Mashable's new investors include New Markets Venture Partners; Social Starts; Michael and Kass Lazerow, the co-founders of Buddy Media; Elio Leoni Sceti, the chief executive of Iglo Group; and David Jones, the global CEO of Havas. Cashmore said the Series A funding round was made easier by the fact that many investors already read Mashable for technology news. "We were making warm calls as opposed to cold calls," he said. Because it is privately owned, a Mashable spokeswoman declined to comment on what the Series A round values the company at. But she said Cashmore remains the majority owner. Mashable says it reaches more than 30 million unique visitors a month around the world, making it among the most successful sites in its class. While it started as a destination for stories about technology, it has since broadened out to cover business, entertainment and other subjects from a Web-savvy point of view. "The common thread is the connected generation — millennials and people who think like them," Cashmore said. Many of the stories consist of regurgitated material from other media outlets. But Mashable also conducts some of its own original reporting, and intends to do more of it in the future, as foreshadowed by the recent hiring of Roberts, a veteran journalist with an ardent Twitter following. Cashmore said the goal is to "become the leading source of news for that connected generation." Some Mashable readers might be surprised to hear that the Web site has never taken on outside investors before. But Cashmore, who started the site in his bedroom, initially just ran Google-powered ads on the site, then gradually added staff as the ad revenues allowed. "Keep investing, keep investing" was the strategy, he said. "It teaches you a great deal about how much you can do with very little," he added. "We hope to keep that frugality, that 'How can we do the absolute most with what we've got?' approach and be very, very efficient as an organization."